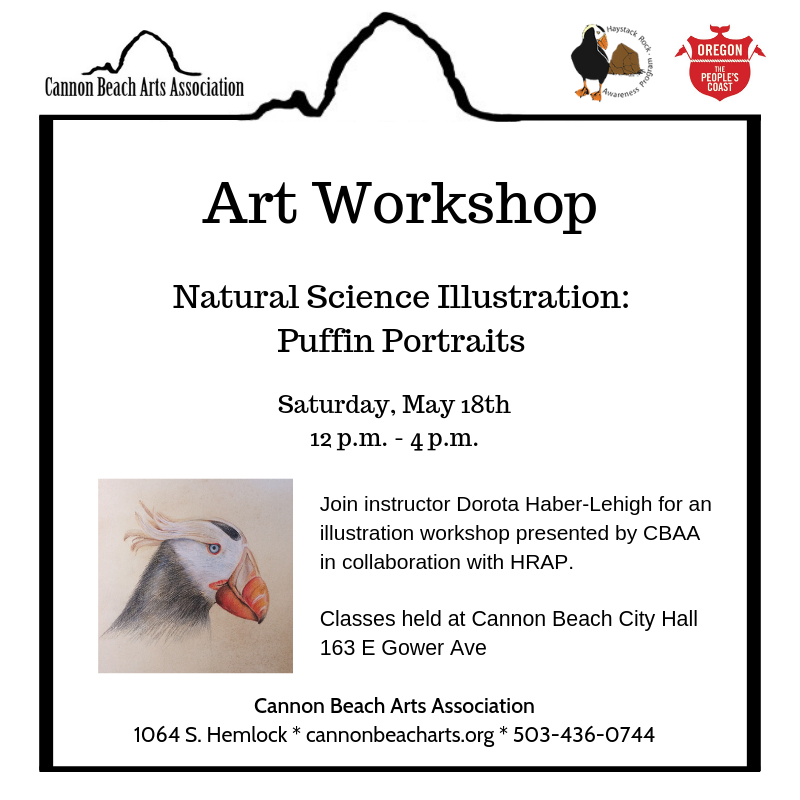 Description: The Haystack Rock Awareness Program and the Cannon Beach Arts Association invite you to join Dorota Haber-Lehigh, artist, educator and instructor for her second workshop of the series. 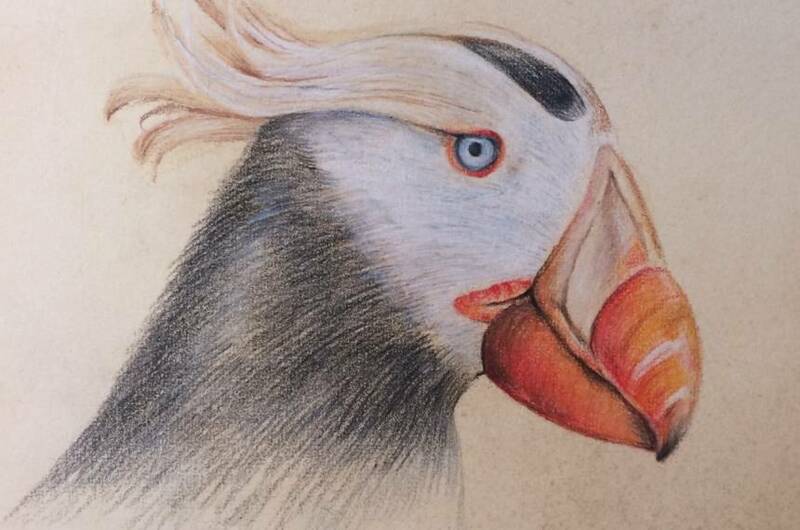 Celebrate an iconic Cannon Beach bird, the puffin by creating a whimsical portrait using colored pencils on walnut ink paper. You will learn how to layer colors and use loose textural mark making to capture the realistic eyes, texture of the beak and shiny hair. 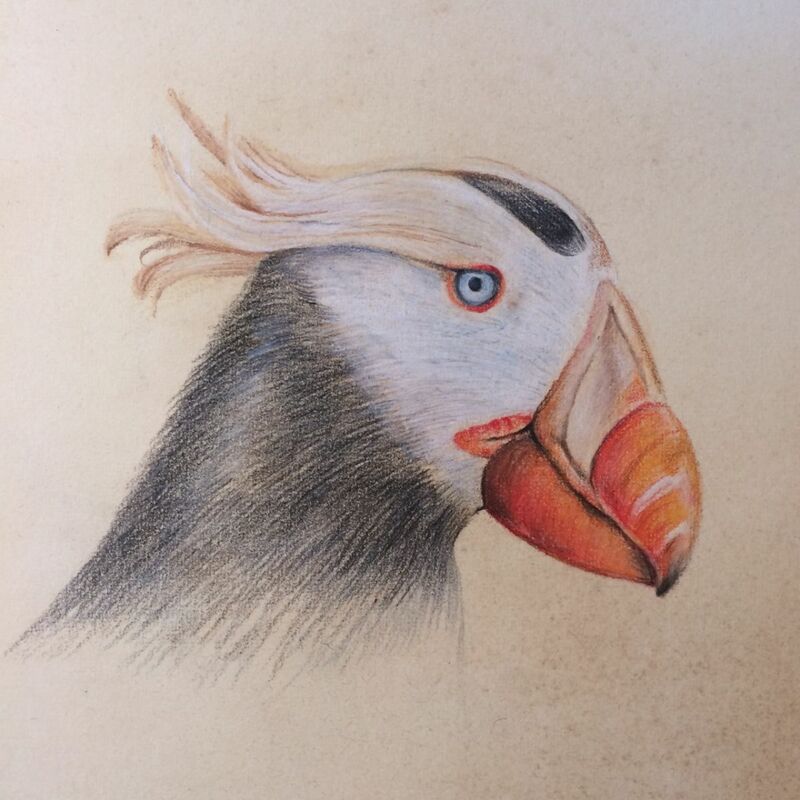 We will begin with loose sketching and studying the structure of puffin’s head and then with step by step guidance you will create a beautiful bird portrait. Not only will you get to take your special creation home with you as a special reminder of your time creating, you will also have contributed as a change maker for ocean stewardship! Dorota Haber-Lehigh is an artist, educator, a forager. 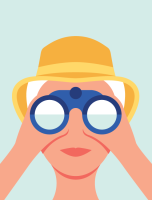 She loves gardening, hiking, field sketching, mushroom hunting and botanical drawing. 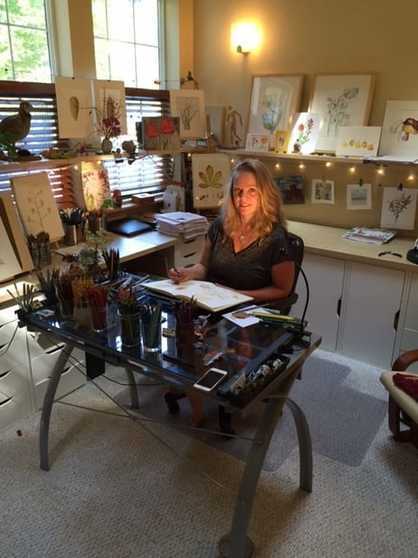 Her passion is drawing native plants and discovering their edibility, medicinal use and ecological connection. She is drawn into sculptural and architectural wonder of plants as well as ephemeral beauty of plants throughout all season.She authored two ethnobotanical coloring books: “ABC of Native Plants of the Coastal PNW” and “Native Berries of the Coastal PNW.” She enjoys teaching ESL and Art of Ethnobotany at Seaside High School and Botanical Drawing at various community centers.